With TELconning you get a tailor-made conning for your vessel. Available as a standalone unit or integrated with Primary TECDIS. Many vessels have a complicated propulsion system with a range of thrusters and other manouvering mechanisms. 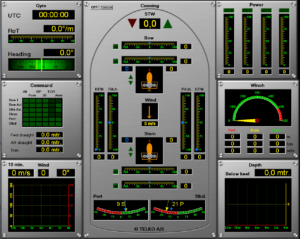 Telko Conning has been developed to provide bridge personell with a single single screen overview including all information relating to the vessel manouvering system. 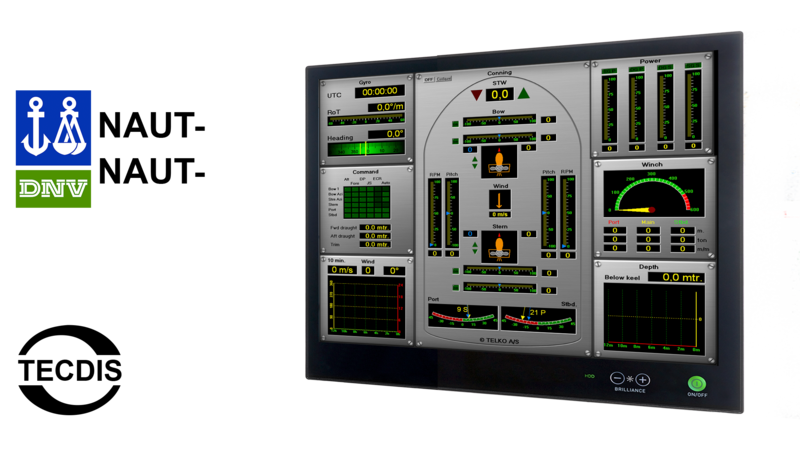 The instrument display is attractive and easy to read, with simulated steel panels and graphical instruments presenting the information in the best possible way. Conning is most often delivered with TECDIS and has in a very short period of time achieved great popularity and market acceptance.